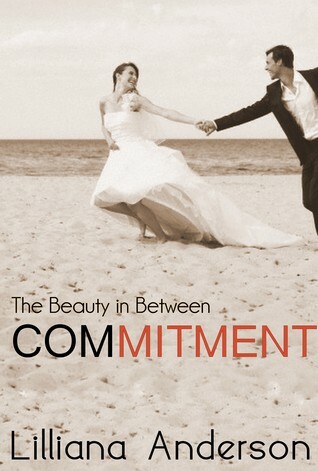 The Beauty in Between is a series of companion stories to be read after 'Beautiful Series' Novel. Commitment follows on from 'A Beautiful Forever'. All his life David has seen Katrina as the one woman he wanted in his life forever, and Katrina has felt the same. So why does she keep putting off their wedding? When they meet Elliot's new wife and family, David can't help but notice that Katrina is acting strangely. The questions is... why? Old insecurities and feelings resurface to threaten their happiness. Will their love be enough overcome them and get them to the alter? I don't know how to write reviews of Lilliana Anderson's books anymore. Heck, I don't even know how to write a proper intro to this review! Anderson's work blow me away each time. So much that I'm running out of things to say because they're all so good! If only I could write a review with just, "Super good. Get it." in big bold letters, this'll be easier. But I can't...because I have to let you all know why you should check out her work. I've been eagerly waiting for this novella ever since Anderson announced she'd be writing The Beauty in Between series. I was curious to see what happened to Katrina and David after they finally got together. They had a happy ending in A Beautiful Struggle and it was too happy.... so I wanted to see more of it. I mean, you can't just leave readers hanging like that, right!? Just like other Anderson books, this one's steamy. She writes romance like no other! It's hot but it's also passionate, which is important in any romance book. You can just feel the love between Katrina and David that took years to build. I love how it made me sigh a lot. Happy sighs and possibly a couple of sad ones because LIFE. Fans of Katrina and David will surely love this one to bits. Similar to previous books, it'll give you what you're looking for but at the same time craving for more. Anderson's characters grew on me with every book and this definitely ensured I will never forget them.